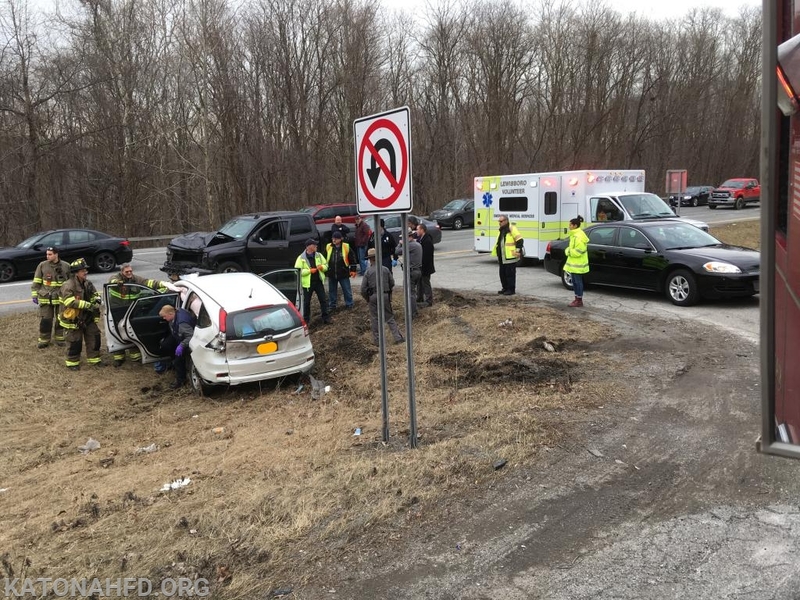 On Wednesday, March 13, at about 4:30 p.m., Katonah Fire Department was dispatched to a motor vehicle accident on I-684 Northbound near Exit 6. 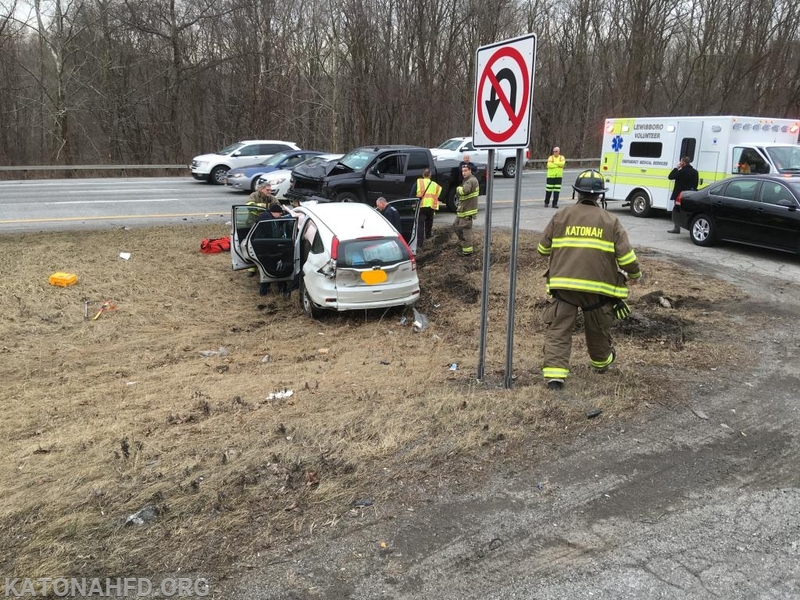 Rescue 17, Engine 115, Car 2211, and Car 2212 responded. 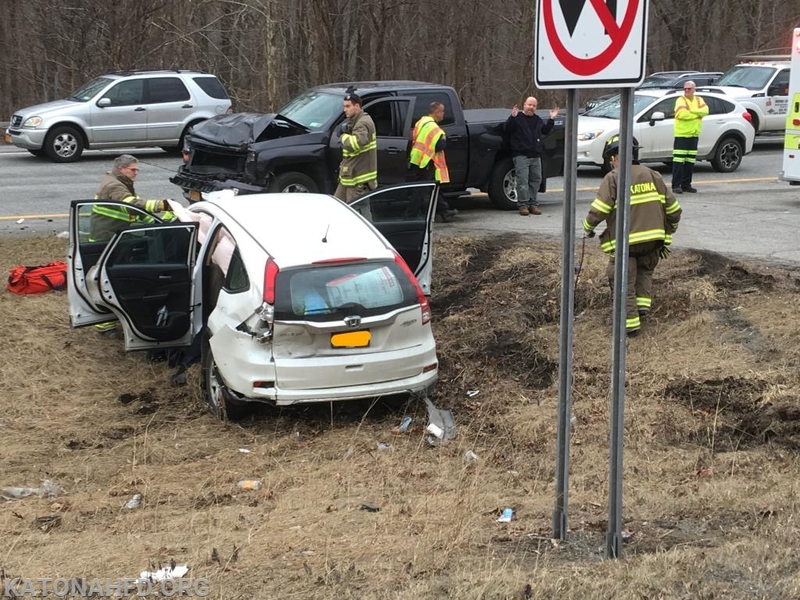 A sedan and a pickup truck were involved in the accident, with airbag deployment in the sedan. KFD personnel assisted with traffic control, vehicle stabilization, and with removing an occupant from the sedan. 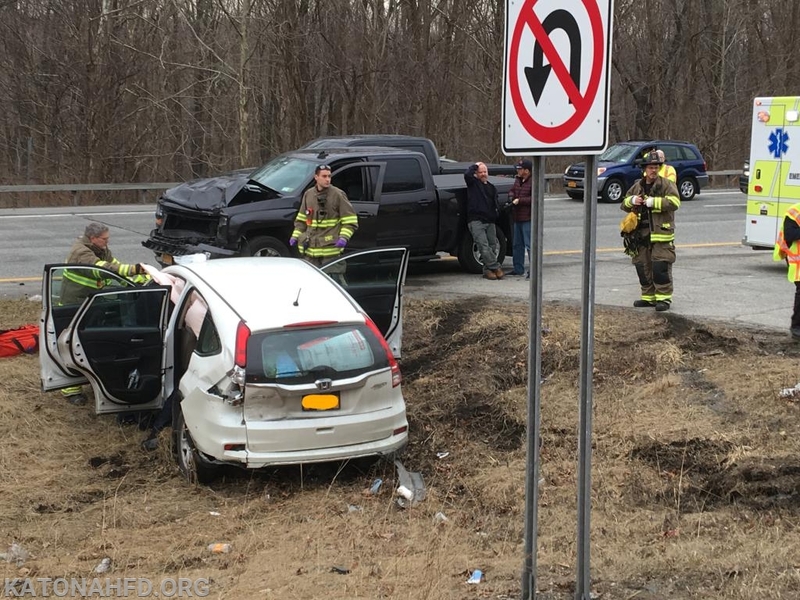 Fortunately, there were no serious injuries, however, rush hour traffic on I-684 Northbound was substantially backed up. Units were operating for about an hour.